Jakob Thrane Mainz, working on an Industrial PhD at Seluxit (Philosophy) on the topic of Ethics, has recently published an op-ed in the Danish newspaper, Information. 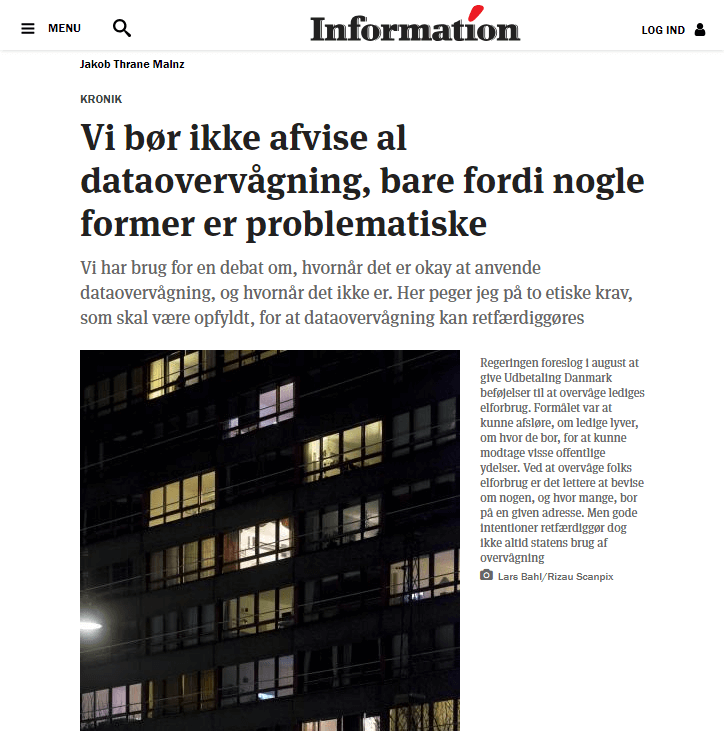 The Op-Ed (in Danish) took on the question of whether society should eschew all forms of surveillance because certain surveillance seems clearly problematic. Taking concrete examples in proposed initiatives have been topical in Danish politics, Jakob considers the ethics of surveillance and compares it to some of the Seluxit's initiatives.